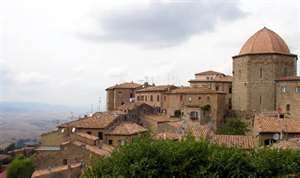 On the edge of a precipice, Volterra with its simple medieval appearance dominates the Era and Cecina valleys. It overlooks the “Balze”, a vast stretch of highly eroded chalk landscape. 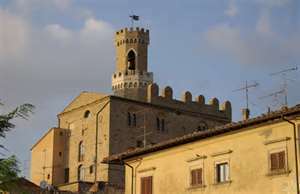 Volterra is a monumental town and boasts one of the finest medieval squares in Italy, with the Palazzo dei Priori (art gallery) and its 15th and 16th century glazed shields. The churches and palaces are filled with countless masterpieces.